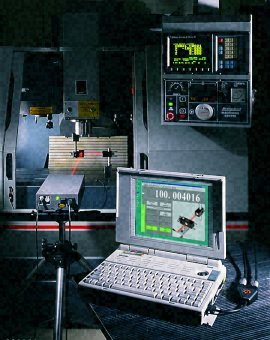 Not long ago a CNC machine tool was laser-calibrated only after a crash or during a rebuild. Today routine annual calibration is becoming as common for CNCs as for CMMs or digital gages, and not just for traceability reasons, either; updating control compensation values sharpens a machine's accuracy and improves performance on tight tolerance jobs. Ask us to show you how CNC laser calibration can help you.